The books on this page are enrolled in the Kindle Select program and will be available for free or at a discounted price at Amazon.com. The books will be selling at regular retail prices before and after the dates listed in red. 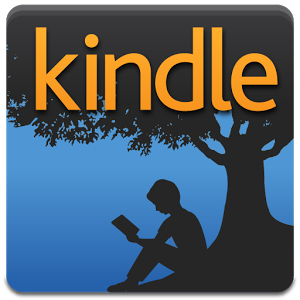 Amazon Kindle books can be read on your PC, Mac, iPhone, Android Smart Phone, Blackberry, and the Kindle Cloud Reader. ﻿Visit Often for the Latest Free and Discounted Kindle eBooks! In a book that speaks out against racism, a clone of Hitler battles his genes at Reichfield High where soccer is literally war and the battle is fought between Neo-Nazis and Mexicans. A predominantly white Reichfield High has lost every game in the last few years to the North Prep, a school with mostly Mexican, Brazilian, and Filipino students. For the first game of the season, however, Addie and his teammates are confident that they will win—because they’ve personally made sure the lead player of the opposite team will be unable to play. Addie and his supremacist and misogynistic friends are ill-prepared for what comes next, though. They are defeated by Shaylee, the best soccer player North Prep has ever seen—who also happens to be a girl. Granted an exception, Shaylee is allowed to compete in a team of all boys. Tali’s life is forever changed when one night she is woken by her deceased grandfather. She finds herself thrown into new levels of reality that are far beyond what she is used to. She meets Jane, who introduces her to her true calling – more than just a quest for self-awareness and personal growth. Tali finds herself undergoing ancient rituals, shape-shifting, and working within her dream state to help souls transition from trauma into their next life. Shalmar is an Amazon warrior with a fearless reputation throughout her country of Gilsk. When the prized Tarlaeth is stolen from the neighbouring country of Gondor, Shalmar is called upon to recover it. From numerous newly trained warriors, Shalmar chooses Jacqueline to assist her on this quest. As the strength of these two women is tested, the deep soul connection between them becomes more evident and undeniable. You were introduced to them in The Paths That Be, now follow their journey in Shalmar. Summer. 1936. Upstate New York. First, the banks were coming for their farms. Then, a record heat wave scorched the land. And then came Joshua Bloomfield, driven by revenge and greed, seeking to reclaim an inheritance of blood money and the family he believed was rightfully his. Will Evelyn Kydd find a way to save her farm and protect her family from the monster in their midst, or will they all be devoured by the darkness descending upon the hills? Khaled Siddiq "Charkhi" is only six years old when he and his entire extended family are imprisoned. Following a grand betrayal, Khaled's father and uncles, the respected right-hand men to the King of Afghanistan, become targets of the new regime. Khaled's father is exiled, his uncles are executed, and their families are locked away in a forgotten corner of Kabul. So begins a decades-long struggle in captivity where Khaled faces the hardship of prison life while enduring tragedies as more of his loved ones are executed and succumb to diseases. Despite the tribulations he experiences, Khaled never gives up hope, choosing to make the most of his time by studying five different languages, advanced literature, and philosophy. Eventually, Khaled and his family are released from prison, but are they truly free? Forbidden from leaving the country, one thing continues to haunt Khaled: a longing to reunite with his father. SHACKLED is a raw, heart-opening story about resilience. It follows the Charkhi family from the 1932 coup to the 1979 Soviet invasion. Amidst national and personal upheaval, Khaled finds his freedom by choosing to lead a life of optimism, kindness, joy, and love. “Think the proverbial roller coaster sans safety bar and forget about the brakes - it doesn't slow down. Darley writes with great passion and heart.” - Jim Brown – TV anchor and best-selling author of 24/7 and Black Valley. When corporate secretary, Belinda Reese, is rescued from an inferno by A.W.O.L. soldier, Brandon Drake, her life changes in a heartbeat. As their relationship grows, they find themselves running for their lives from a corrupt, governmental conspiracy. A nightmare is unleashed upon them as the police, assassins, and government agencies drive them into relentless perils. Brandon’s combat training and stolen weaponry are challenged to the limit in the face of overwhelming odds, with a devastating, reality-shaking discovery further hampering his plight. Shocking twists and cliffhangers take the two lovers on a journey through the first installment in this high-tech action, romantic thriller series. Tristan Fairholm is an ordinary teenager who would give his own heart to save his brother. Suddenly his life is turned upside down when an earthquake hits his sleepy town of Valley City, North Dakota. He panics, and makes a fatal decision that lands him in court. While stuck in limbo at Juvie, he is cut off from his family, tormented by bullies, and treated like a criminal. Worst of all, no one believes him. After all, no one else felt the earthquake. Is he lying? Or are darker forces at play? The Last Day of Freedom is the first book in the young adult fantasy series, The Natural Order. *Permanently Free. * Get a FREE Kindle copy at Amazon.com. The Door is the first book in the Seventh Dimension Series that combines contemporary, historical, and fantasy elements into a Christian "coming-of-age" story. A curse put on Shale Snyder, because of a secret, shrouds her with insecurity and fear. Following suspension from school, Shale's best friend isn't allowed to see her anymore and she feels abandoned by her family. When a stray dog befriends her, she follows it into the woods. 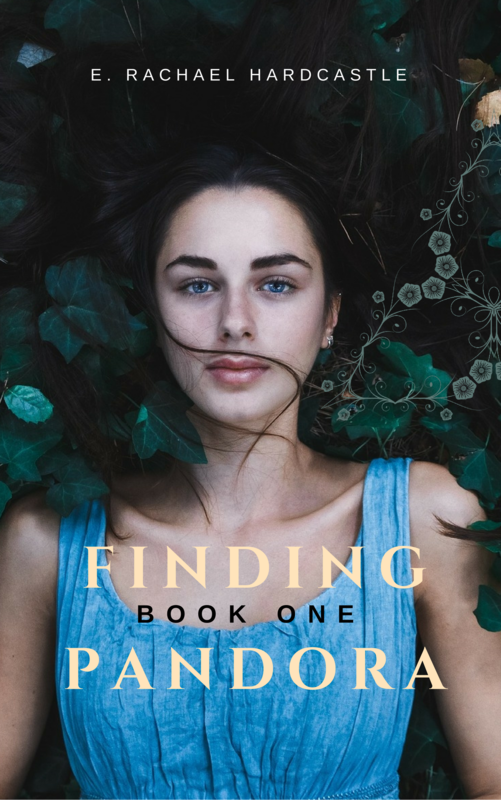 There she discovers a door that leads to another world--a garden with talking animals, demonic underlings, forbidden love, and a king unlike any other. Can Shale overcome her past, defeat the underlings, and embrace her eternal destiny? THERE'S A BODY IN YOUR ALLEY. Arianna Jackson—AJ to her friends—and her occasionally well-behaved Alaskan Malamute, Nicoh, live a normal, uneventful, admittedly mundane existence, where nothing out of the ordinary ever happens. Until it does. Early one morning, AJ stumbles upon a horrifying scene—a girl's body lies broken in the dumpster behind her home, her face beaten and mutilated. A SECRET REVEALS YOU'RE LIVING A LIE. As if that weren't enough to upset the balance of normal, things go from bad to worse when she learns of her connection to the murdered girl. Suddenly, AJ realizes her entire life has been filled with secrets and lies. A KILLER HUNTS FOR YOU. Together with her trusty sidekick, Nicoh, and BFF, Leah, AJ must search for answers. But can she, when finding the truth proves to be more deadly than living the lie? WOULD YOU SEARCH FOR THE TRUTH IF YOU KNEW IT COULD KILL YOU? Join AJ and her pals as they race to unravel the mystery of her past, where the pieces of the puzzle bring more questions than answers and the only certainty is the killer's end game—AJ's life. FIND YOUR TRUTH. Grab your copy of Gemini Rising and join others who’ve enjoyed this suspense-filled page-turner that keeps you guessing to the end...and beyond. Alexis Ames has a life full of promise...but not all promises can be kept. Ethan knows that his entire race hovers on the brink of extinction. Strict laws that have protected their species are now being challenged. Laws created to prevent demons and humans from consorting outside of the Dream. But there is something about Madison that draws him in - despite the consequences. In a small town, it's hard to recover from being dumped by your high school sweetheart. That's just what Briana has to do after Colin leaves her to follow his dreams. She focuses her energy into her friendships and the pursuit of her own goal of becoming a chef. Just when she finally feels like she's on the right path, he comes back to town. Colin knew breaking up with Briana before leaving for college was the right thing to do. He was determined to leave small-town life behind forever, and that included his high school girlfriend. But when a sports injury puts him on the sidelines, he's forced to return home. Seeing Briana again brings back a lot of memories, and Colin wonders if he made the right decision. It doesn't take long for him to realize he wants her back, and this time, he wants to make it last. A beautiful life at the beach is marred when Jack has a heart attack on the train from Manhattan, and Pam and his two lovers discover secrets and lies, and each other. Lydia Kalila, the Princess Royal of Mishnah, is forced into marriage with the son of her country's mortal enemy for the sole purpose of producing an heir. Duty comes before personal choice for a princess, especially when her country has been at war for more than a thousand years. Lydia's pregnancy removes her brother and new husband from their respective lines of succession, placing her yet unborn infant at the head of both queues. No one is happy about this, especially Lydia who dies during childbirth from wounds caused by the talon-like toenails of her very strange newborn son. Grief stricken at the loss of his daughter, the Mishnese King hastily sends Senya, his infant grandson off to a decrepit inner city orphanage with the intent to retrieve him much later when things get sorted out. At the orphanage, Senya is protected by the invalid Sister Meri who instantly falls in love with the little fellow. She's not bothered at all by his strange telekinetic and telepathic powers, flickering pupil-less silver eyes, or wicked clawed toenails. The House Father takes a shine to the lad too, and when Senya is six years old, he is summoned to the Father's chamber. The Father ends up in flames, forcing Meri and Senya out into a snow storm running for their lives. Thus begins the tale of Senya, a prince created to be king of a planet but tossed aside until his twelfth birthday when Lt. Taner, a Royal Guard detective is sent to retrieve him. It is unclear to all whether Senya is the product of something good or something evil, but in either case, it is very apparent that he is something more than just Lydia Kalila's son. *Note: Contains graphic language, sexual situations, and violence. Not intended for children or young teens. Please submit this form at least 72 hours before your "Kindle Select Promo" begins!